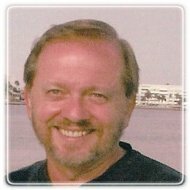 Tampa Therapist: Steve Graham - Therapist 33606. Send A Message To Dr. Graham. Session Fees: Sliding scale from $160-210. Prior to my career as a clinical psychologist and psychoanalyst, I worked for two decades as a pastor, and many of those years as a seminary professor. My pastoral experience and my doctoral training in theology pointed me to vast areas of human suffering, giving me the opportunity to be with people in their hours of deepest trial and most profound celebration. This marvelous calling revealed starkly the limitations each of us faces and the intuitive sense most of us have to turn to God in moments when we have reached those limits. Many find unexplainable comfort in those moments; but many experience even more profound disappointment. They had hoped that God would answer, in some way, their prayers offered in agony, only to feel an inexplicable sense of abandonment by God when no answers seem to come. What then? As Job discovered in the hour of his suffering, human companionship may be helpful ... or not. In my unique role as former pastor/psychologist, I have a front row seat from which to see how religious communities often fail to provide comfort and help in those moments, how "being right" trumps "being loving." It was from this reality that I pursued doctoral training as a psychologist and postdoctoral training in contemporary psychoanalysis. My hope is that my experience across these two important helping disciplines have shaped me in such a way that I can listen to your concerns both from a clinical and a spiritual perspective. Many of those with whom I have worked never choose to explore spiritual matters; most do. It has always seemed to me that spiritual and psychological concerns overlap significantly and ways in which one encounter his/her human relationships correlate pretty well with ways in which they approach God and spirituality. I invite you to take a journey of growth and healing. I would love to accompany you.